4 Bedroom House To Rent in Newcastle upon Tyne for £1,000 per Calendar Month. Bridgfords Lettings offer to the rental market this 4 bedroom detached family property in Edlingham Close, South Gosforth. 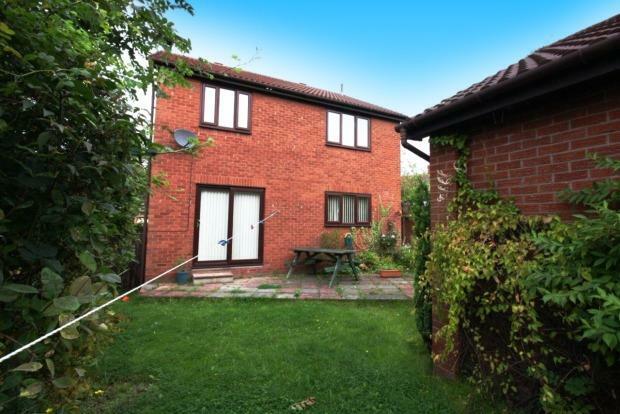 Located within walking distance of the Freeman Hospital, this property offers excellent local amenities, including schools, shops, a park and a local gym. It is approximately a 10-15 minute drive into Newcastle City Centre. The property comprises entrance hall leading into the well proportioned lounge/dining room. The living area is neutrally decorated with cream walls and wood laminate floor, and furnished with 2 fabric sofas. The dining area overlooks the rear garden, and has a large dining table and 6 chairs. The kitchen is separate to the living area, and is smartly fitted with wood units, and dark worktops. Appliances include a fridge/freezer, washing machine, integrated dishwasher, and oven/hob/extractor. There is a downstairs study room, and a cloaks/downstairs wc. To the first floor are the 4 bedrooms, all of which are double rooms, which are fully furnished and have good storage facilities. The master bedroom benefits from an en-suite shower room with w/c, sink and shower. The family bathroom comprises 3 piece suite with shower over the bath. The house has front and rear gardens, a driveway and garage and gas central heating.